News - Worship Services, Meeting Notices, Events are posted here. Please join us for our Easter Service on April 21. We meet at 10:30 am in the Trinity Chapel. The sermon will be given by Rev. Jacquie Lewis and is entitled "Making Space for Surprises." Come early for our Spiritual Seekers class held at 9:30 am in Room 9. In our study of world religions, we are currently discussing Confucius. We hope to see you Sunday! The next Congregational Meeting will be held on March 3 right after the Worship Service. The meeting will be held in the Trinity Chapel. Please plan to attend so your input is given for church decisions that are being made. The message for February 24th will be "The Freedom of Forgiveness." Please join Pastor Jacquie Lewis and the congregants of Trinity United in our Chapel at 10:30 am. Come early at 9:30 am for our adult Spiritual Seeker's group which meets in Room 9. The discussion is always thought provoking! The message for February 17th will be "The Way of Blessing." Please join Pastor Jacquie Lewis and the congregants of Trinity United in our Chapel at 10:30 am. Come early at 9:30 am for our adult Spiritual Seeker's group which meets in Room 9. The discussion is always thought provoking! 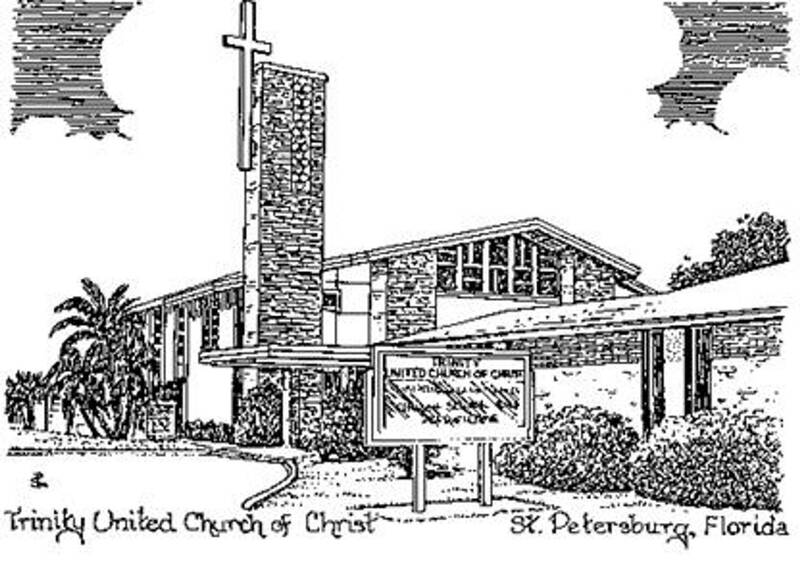 UCC Women's Central West Coast Annual Meeting and Luncheon will be held Saturday, February 16th at the Chapel on the Hill from 8:30 am to 2:00 pm. The theme for the meeting is "Simply Relevant: Relational Bible Series for Women - Chocolate Boutique." Food donations are requested for the Good Samaritan Food Pantry in Pinellas Park. Please bring non perishable items - peanut butter, soup, spaghetti, spaghetti sauce, macaroni and cheese, tuna, chicken, spam, fruits and vegetables.